Spending over $5.4 billion dollars in Capital Expenditure in the 2018 fiscal year, having complete visibility of project status and cost is critical. To get a complete 360 degree view of a project, information needs to be combined from multiple sources compiling data for cost, risk, schedule and performance all residing in a variety of systems and architectures. 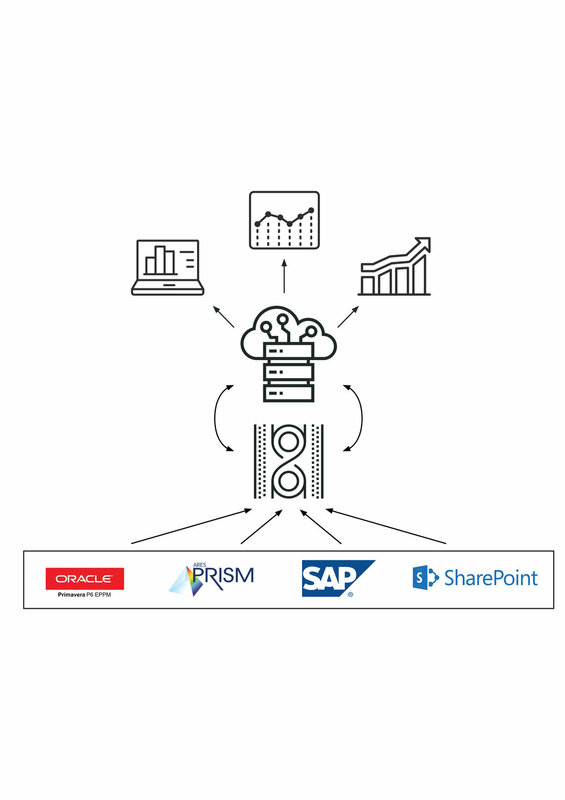 Traditionally combining these systems, such as Oracle Primavera P6, ARES Prism and SAP required manually exporting and aggregating spreadsheets from source systems, slowing down reporting timelines and creating data integrity errors. Any follow-up requests for information would be manual, removing the ability for self service analytics. Forest Grove Technology were given the task of providing the Project Controls team within the Iron Ore division a unified end-to-end solution blending source systems, ensure data governance principles are adhered to, build an agile and dynamic data warehouse and providing interactive Power BI dashboards and visualisations. Forest Grove deployed a combination of KNIME, Amazon Redshift and PowerBI to create an agile, high performing data platform. This solution aligns with their current IT strategy and existing vendor relationships. 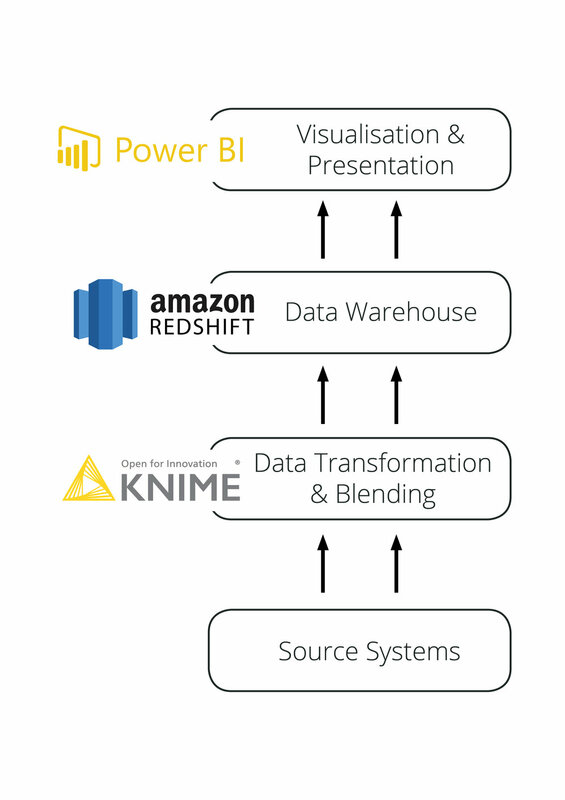 KNIME automates the data warehouse creation within Amazon Redshift, blending, cleansing and uploading the data directly to the Data Warehouse while PowerBI provides the dashboards, visualisations and project commentary captured from Microsoft Sharepoint. The concept of a golden thread was embedded to ensure all systems aligned to a single project and milestone. Leveraging Forest Grove’s agile implementation methodology, the solution was rapidly deployed with a focus on meeting the business requirements for reporting and KPI monitoring. The solution provides complete automation, eliminating manual errors and delayed reporting timelines. This enables project managers, portfolio managers and cost control teams to quickly identify problems and opportunities amongst their large project portfolio ensuring attention is focused on the most critical items. Forest Grove provided further value, developing Data Governance dashboards ensuring all source systems are accurate and business processes are correctly followed. Forest Grove have developed a series of out-of-the-box connectors for project management, project costing, risk and finance systems allowing organisations to quickly and easily connect to multiple source systems, provide data governance frameworks and create a data warehouse and reporting solution in a matter of weeks. PowerBI was the perfect tool for interactive data visualisation, leveraging skills, experience and knowledge with PowerBI already within the organisation. Forest Grove developed engaging, interactive reports and dashboards to provide Rio Tinto with the ability to analyse, explore and drill down through their data to provide informed decisions.